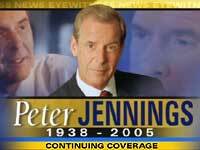 Who will succeed Peter Jennings as anchor of World News Tonight? Senior ABC executives have had some discussions in recent weeks, knowing Jennings’ prognosis wasn’t good. But no succession plan has been drafted- and won’t be for some time. For the interim, ABC news will continue to fill Jennings's chair with pinch-hitters Charles Gibson, Elizabeth Vargas, Bob Woodruff, and Terry Moran. Are You Ready For Some Fogies? ABC and the Rolling Stones are teaming up and are ready to hit the gridiron. The network has signed 94-year-old Mick and the boys for a season-long football promotional campaign. It kicks off September 8 with a concert in this year’s NFL Opening Kickoff, and Monday Night Football games all season will feature music and videos of the decrepit band- a band that can still rock, if I may editorialize a bit. The season opens with Patriots vs Raiders, September 8th on ABC. 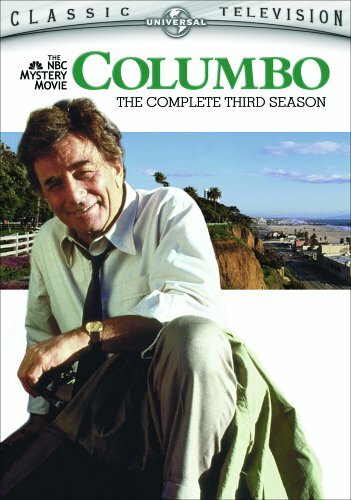 Do you dig David E. Kelley's reality series The Law Firm? Well, prepare to be overruled. After two airings, NBC could no longer hide its contempt for the show’s low ratings and is pulling it off the air. It will air the rest of the run on cable stepchild Bravo. Episodes of the ubiquitous Will & Grace and brilliant Scrubs will fill out the docket. Ellen DeGeneres will take her show out of the studio and across the country for her third season of The Ellen DeGeneres Show. She’ll shoot entire shows on location for the first time, Her new season premieres September 5th. Not to be outdone, we hear Tony Danza will broadcast a week of shows from The Olive Garden in Times Square. Hey- who needs ratings when you can get all the salad and breadsticks you can eat? National Geographic Channel and Fox Networks Group will launch their HD network early next year. They estimate 90% of their primetime schedule will be in hi-definition…. The ratings for Bravo’s new reality series, Situation: Comedy doesn’t have execs laughing: the show debuted with just 217,000 viewers. Perhaps a time slot switch will help: it’s being moved to Fridays at 7p, effective immediately…. FX’s new comedies, Starved and It's Always Sunny in Philadelphia, kinda tanked in their debuts last Thursday, reaching about a million and a half viewers each. That’s a million less than its last scripted comedy, Lucky, premiered to- and that show ended up lasting just one season.